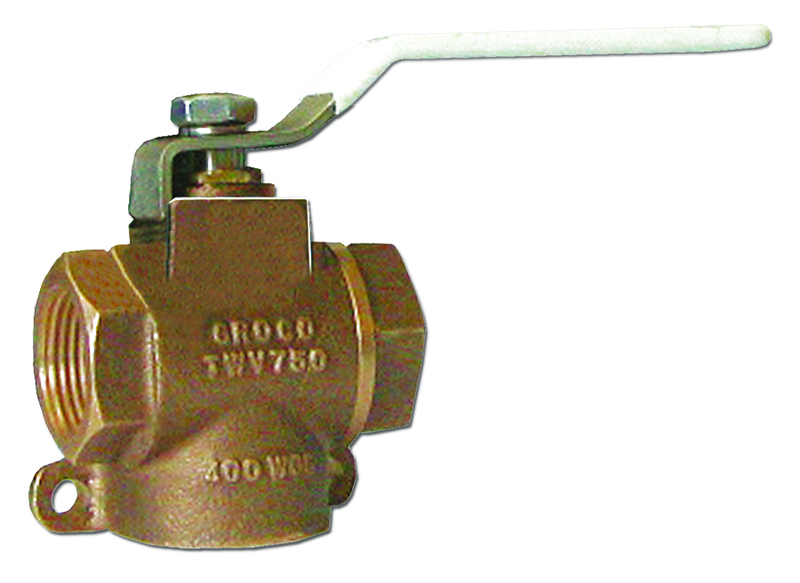 3-way valve operates logically - The handle points to the direction of flow. Handle rotates a full 180°. 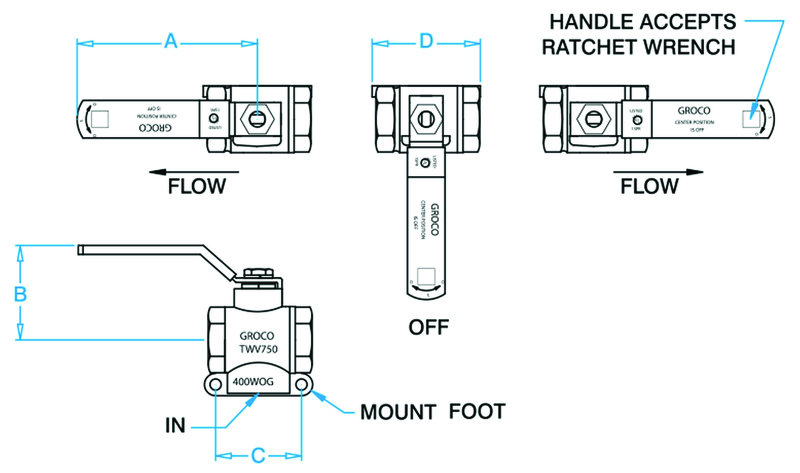 Use TWV-1500 (1-1/2" NPT ports) for waste systems.